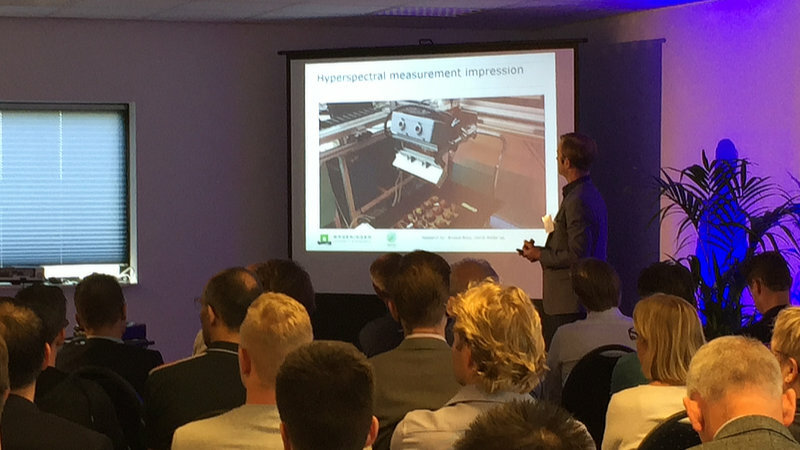 The Fotonica event in Helmond was organized by Food Tech Brainport (food) and ZLTO (agro) organizations. More than 70 professionals from agro production and food processing participated in a program of lectures and focused demos. 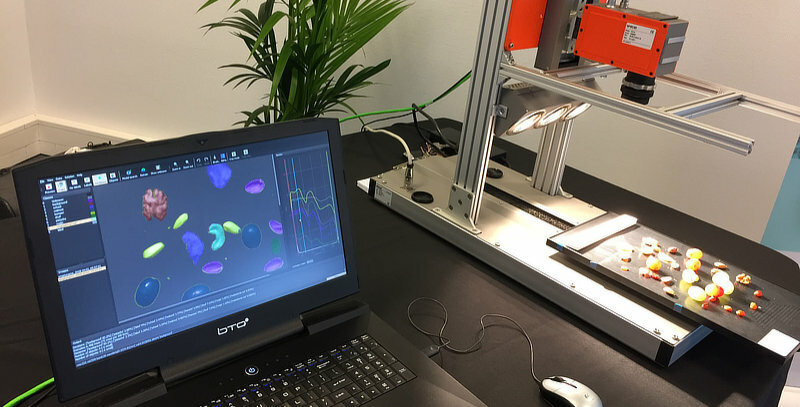 Together with SpectraPartners, our Benelux distributor, we gave a live demo of spectral imaging and direct user-guided interpretation of scans. In small groups we had a chance to discuss in more detail current challenges of food industry and brainstorm on potential of spectral imaging for inspection and quality control. 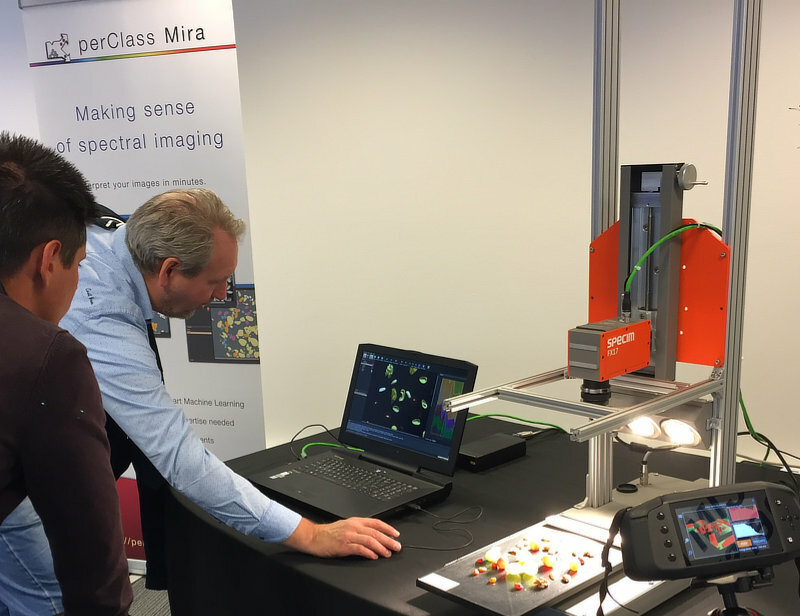 It is clear that a combo of spectral caemera and perClass Mira GUI enables industrial practitioners to make first steps in understanding benefits of spectral imaging for their specific problems much more rapidly than before. Thanks to the organizers for a stimulating event and participants for their feedback and sharing of concrete challenges they face! 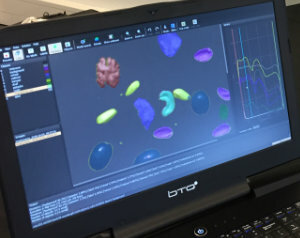 Processing hyperspectral images from Specim FX17 camera using perClass Mira GUI. On the right side Specim IQ portable hyperspectral camera.